There are many things about K-pop that stand out compared to other genres of music: aegyo, the idol system, its diehard fandoms, and hair. Yes, hair. 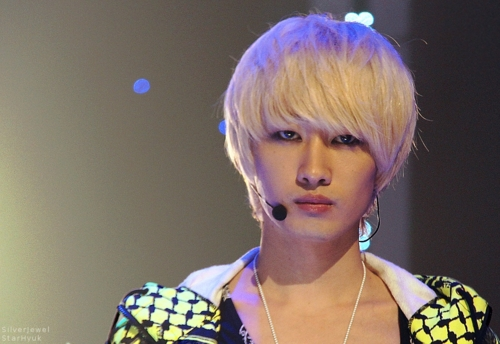 K-pop stars have some crazy hair. There is almost nothing K-pop stylists won’t try and fans are often left cringing over what travesty has happened to their beloved idol’s hair. Some examples would include TVXQ’s Tri-angle hair, U-KISS’s AJ’s current hair crisis, and SNSD’s Hyoyeon. But not all hairstyles are bad – many idols still manage to look unfairly beautiful, even when their hair is the color of candy. All idols dye their hair at least once during their careers, usually to a shade of brown or black, but often to a more unnatural shade as well, like red, blond, and any other color in the rainbow. 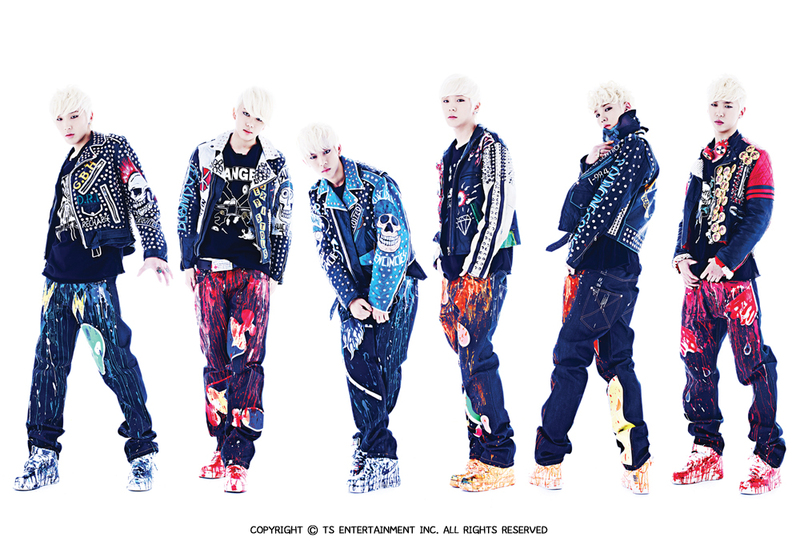 But there are blond horror stories too: B.A.P. were once all blond, making the members virtually indistinguishable. 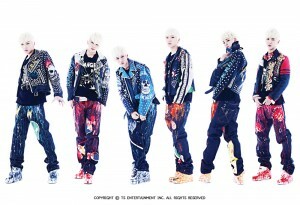 Luckily, most of the boys changed their hair to colors that they’re better suited for. Tiffany was once orange-blonde – a horrible look on her. During “Hoot” promotions, Sunny had long blonde hair, looking very much like a nail artist or hair stylist. 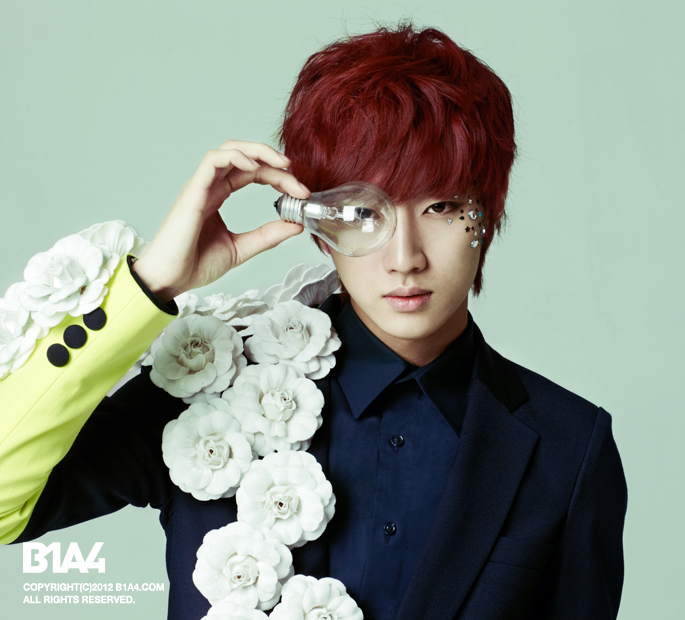 Infinite’s Sungjong, who looks fabulous in anything,also looked slightly less fabulous when he was blond. After blond(e)s, redheads are extremely common in K-pop. SNSD’s Tiffany has gone through several shades of red in the past month, and just like how every group must have a blond, every group must also have a redhead at some point. 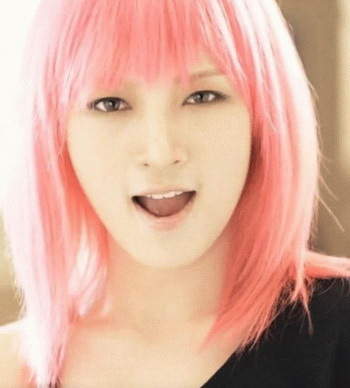 Many K-pop idols opt for bright tomato red (Tiffany) or orange (B2ST’s Hyunseung) and occasionally auburn (Taeyeon during the “Genie” era). Red hair isn’t easy to pull off or maintain but more than one idol has looked amazing with a fiery head of hair, such as B1A4’s Jinyoung, 2NE1’s Park Bom, and Block B’s U-Kwon. Jinyoung’s hair succeeds in making him look even more like a fox (in the best way possible) and Bom, always a doll, looked beautiful with her vibrant red hair. Kitty-Kwon looks precious with his red hair. Another increasingly common thing in K-pop is dyeing hair to every color in the rainbow. Purple, pink, blue, green, all four – more and more idols are popping up with candy-colored hair. And why not? It’s fun, it’s eye-catching, and it’s different. What better way to stand out from your team mates? And what better way to show how trendy, cute, or edgy you are? Zelo’s newly dyed pink hair adds to his image as the cute, innocent maknae but it’s also edgy enough to go along with B.A.P.’s tough, masculine concept. Likewise with Miss A’s Jia, who had pink hair during the “Good Girl Bad Girl” era, her statement-making pink hair built her image as a tough girl. And then there’s also purple hair, worn by Secret’s Hyosung, Bang Yongguk, and most recently, Infinite’s Hoya. Rather than a bright shade, Hyosung’s hair is a darker color of purple, almost plum, making it look deeper and more natural. 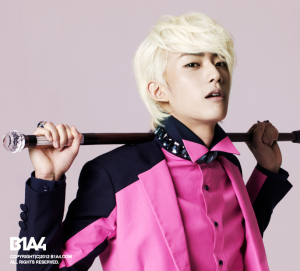 Same with BYG, whose hair can sometimes be mistaken for black. For Infinite’s comeback, Hoya returned with grape-colored hair, a surprisingly good look on him. Not to be outshone, fellow Infinite member Dongwoo dyed his hair blue, adding to the increasing number of blue-haired idols. Purple and blue hair appears to be gaining popularity as more and more idols dye their hair these shades. 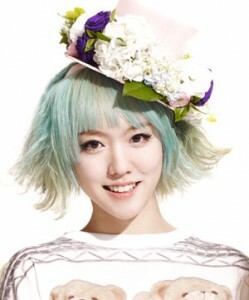 Newbie group Hello Venus has a blue-haired member, Lime, and Big Bang’s T.O.P made headlines months ago for his toothpaste-colored hair. Lime looks cute with her mint-colored locks but T.O.P’s only saving grace is his incredible good looks, which can’t be deterred by anything, not even his ghastly blue hair. What do you think, Seoulmates? Do you like crazy colored hair on your idols?